TEP is part of the project team supporting the Royal Horticultural Society (RHS) project to establish a 154-acre garden on the site of the former Worsley New Hall, on the outskirts of Salford. 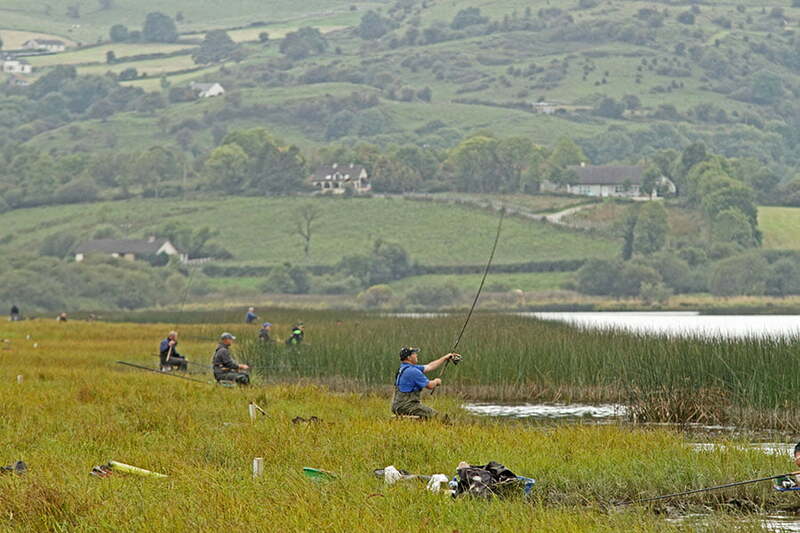 TEP provides specialist input on ecology, and landscape and views. 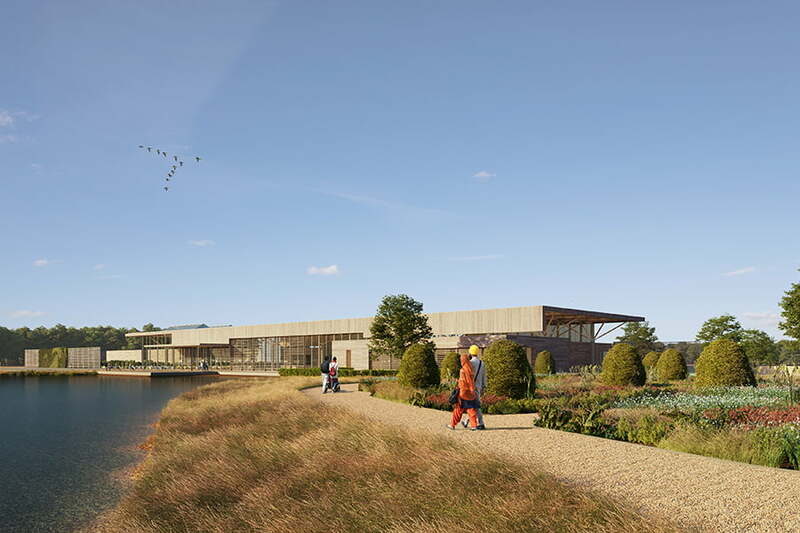 The scheme includes the development of a new Welcome Building, demonstration and teaching allotments, a shop and café, an events and learning space, a new glasshouse and school of horticulture, and the restoration of the historic Walled Garden and its accompanying buildings. RHS Garden Bridgewater is a collaboration between the RHS, Peel Land and Property (the land owners) and Salford City Council. 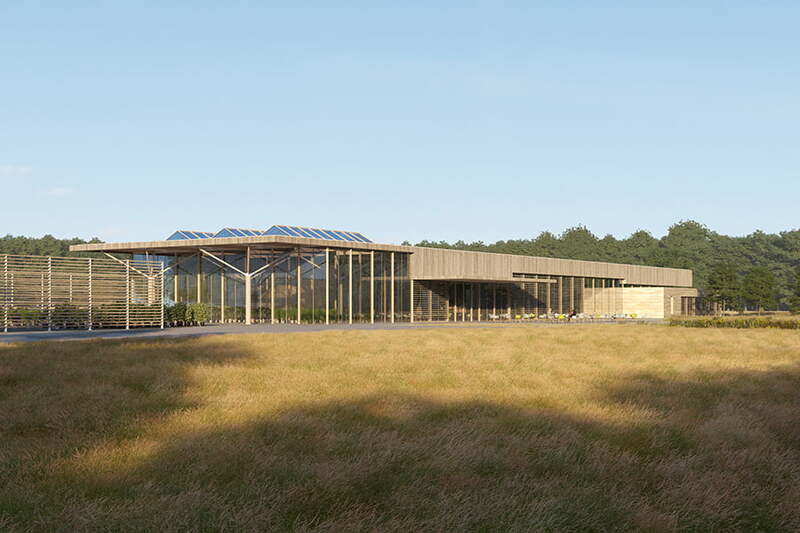 The revival of a site of this scale will represent one of the largest contemporary gardening projects in Europe. Planning permission was granted in 2017 and work began in spring 2018 with the intention to open the Walled Garden to the public in June 2019. You can follow progress on the RHS’s dedicated webpage. TEP undertook extensive ecological surveys and assessments. Key biodiversity features were roosting bats, a diverse breeding bird assemblage, extensive mature woodland and a local wildlife site. TEP’s lead ecologist worked closely with the design-team, which included Landscape Architect Tom Stuart-Smith and Manchester Architects Hodder + Partners, to ensure a sensitive approach to the Middle Wood Site of Biological Importance (SBI) within the site. The SBI woodland is a legacy of the former Worsley New Hall estate that will benefit from improved management as part of the proposals. TEP also worked with the design team to minimise impacts on roosting bats through the retention of important architectural features, sensitive programming of works and ensuring alternative roosting habitat is available at all times. Now the project is in construction stages, TEP is supporting the contractors with wildlife surveys and management. 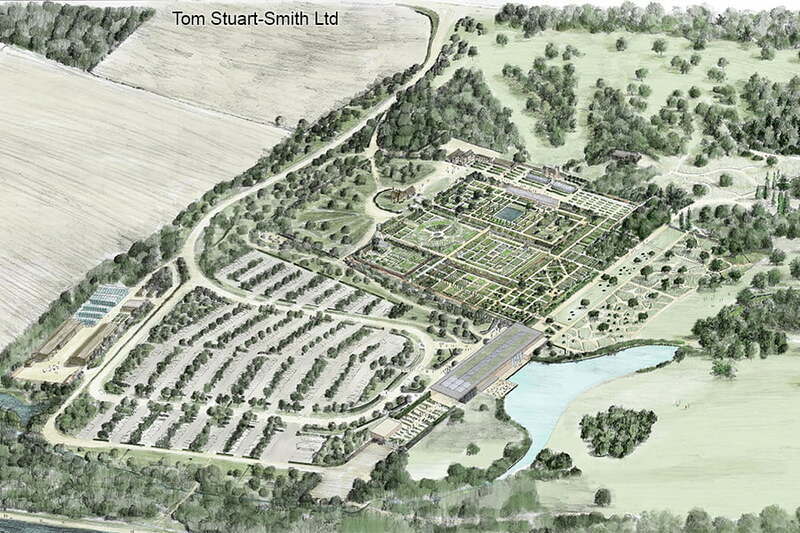 TEP prepared a Landscape and Visual Impact Assessment (LVIA) of the RHS’s proposals for the Worsley New Hall site. TEP liaised with Salford City Council to agree the scope of the LVIA, which was limited by the high proportion of mature tree cover within the site and surrounding area. The visual assessment included consideration of the effect on views during construction and operation from the Bridgewater Canal at the southern site boundary, the grounds of St Mark’s Church to the east, the A572 Leigh Road to the north and the southeast edge of Boothstown. The landscape assessment took account of the beneficial effects that the restoration of the site would bring to the local landscape during operation. 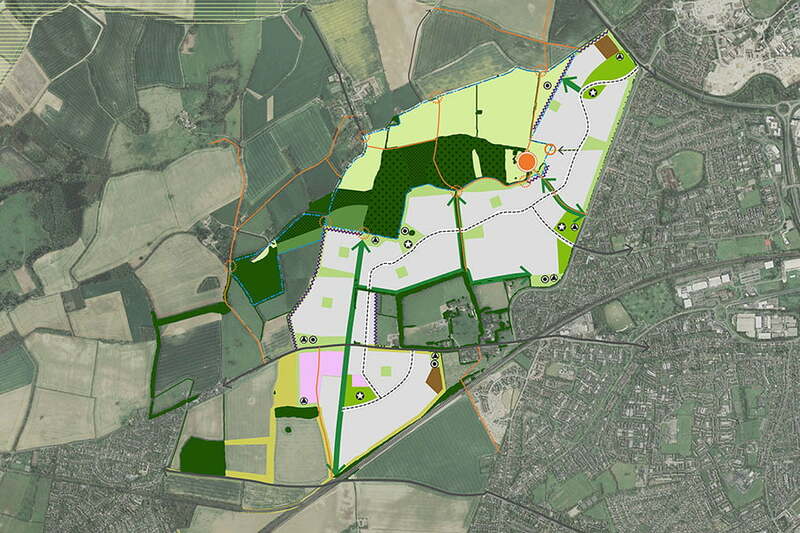 Both the landscape and visual assessments considered the additional filtering and screening which would be provided over time by the extensive planting designed to mitigate the proposals for the visitor access, car park, Welcome Building and horticultural yard in the west and southwest parts of the site. 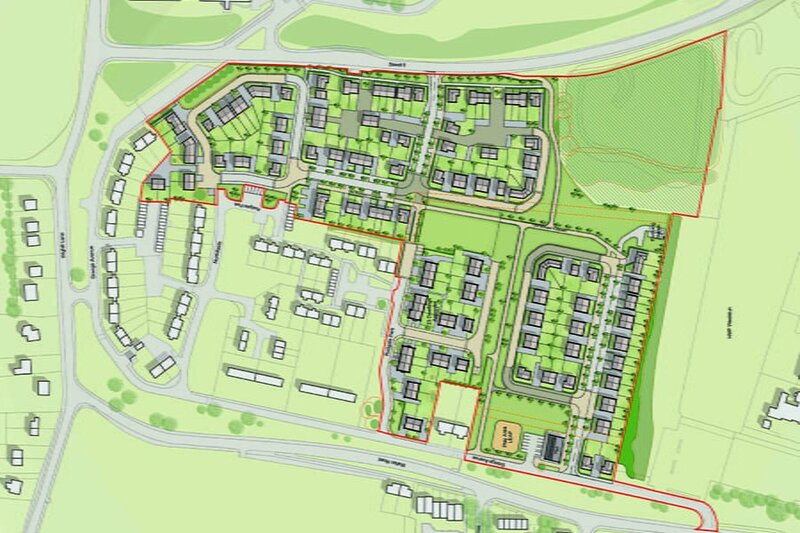 The LVIA also included an assessment of effects on the openness of the Green Belt, which noted that the majority of the site would remain open and undeveloped and that proposals had been designed to minimise effects.